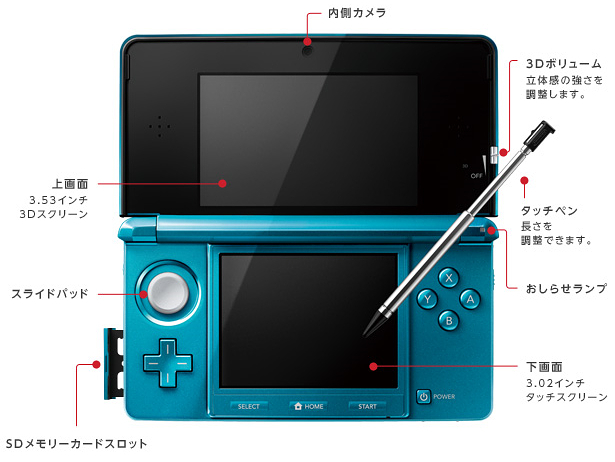 Nintendo has revealed their 3DS launch plan for Japan. The system will launch in Japan on February 26th at a price of 25,000 YEN (roughly $298 US). 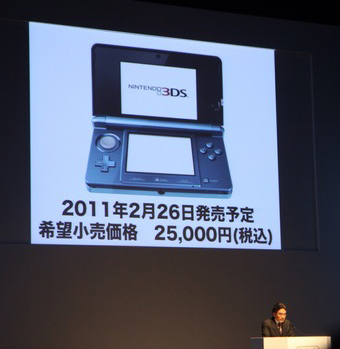 The 3DS will launch in the US and in Europe in March 2011. The system will be available in two colors, Aqua Blue and Cosmo Black. 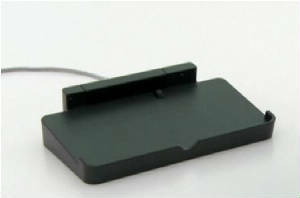 The system will also include this stylish looking charging cradle. The System will also come bundled with a 2GB memory card. The inclusion the SD memory card proves Nintendo is serious about the multi media capabilities of the Nintendo 3DS. It will also work well with the newly announced 3DS download service. Nintendo has revealed that 3DS owners will be able to download and play classic Gameboy, Gameboy Color and GBA games, as well as classic Nintendo titles given a new, 3D face lift. This service has been jokingly refered to as "Virtual Console Portable" merely because it is very similar to the Virtual Console found on the Wii. To demonstrate this feature Nintendo showed screenshots from Super Mario Land (Video) (Gameboy) and The Legend of Zelda: Link's Awakening DX (Video) (Gameboy Color). This has lead many to believe these titles might be among the first avaiable for download. Nintendo's popular DSiware makes the jump to 3D. Original 3DS software will be available for purchase from Nintendo's online store. "3DSware" will also be transferable between systems, meaning your expensive collection is no longer tied to just one system. Also, some DSiware games will also be transferable to the new 3DS. This comes as exciting news for those of us who have purchased many DSiware games and apps. 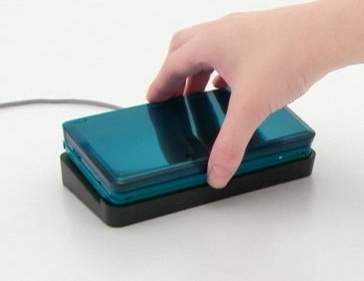 The 3DS system will have its own "home button" similar to what we see on today's consoles. It will allow users to jump in and out of games at will. Users can actually pause gameplay, go to the main menu and adjust their settings, then return to the paused game at any time. This clever little feature really pushes the multi tasking abilities of the 3DS hardware. 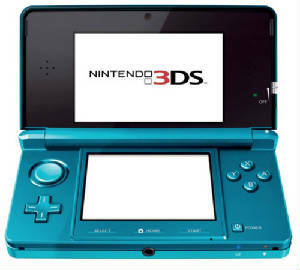 The 3DS system will come bundled with several different games and apps. Some of this new software relates directly to specific 3DS hardware features. Others are multimedia and gaming related. Bundled games and software include Nintendo Camera, 3DS sound, Mii Studio, Chance Encounter Mii Plaza, Street Pass, Augmented Reality Games, Activity Log, and a Book Reader. Chance Encounter Mii Plaza and Street Pass both utilize the always on "tag mode" feature of the Nintendo 3DS. "Tag Mode" functionality has been added to the 3DS. This feature can be activated even when the system is turned off. It will allow users to share data with the other 3DS owners they encounter in the wild. A similar feature was utilized before in the game Nintendogs. However this time, Nintendo seems to be expanding upon the idea in many fun and interesting ways. For example, Mii characters can actually migrate from one system to another. They will be collected on your 3DS in the "Chance Encounter Mii Plaza." Tag Mode will also be used to transfer game data. The data exchange will work even for games not currently being played. One of the more interesting features of the 3DS is the "stealth downloading feature." 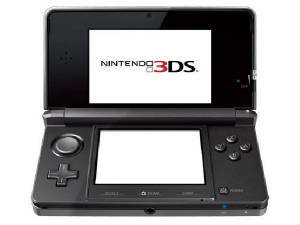 The system will automatically download software updates, firmware updates, game data, and more from ther 3DS network. Obviously the system will have to be connected to a Wifi hotspot. However this feature presents many intriguing possibilities, from automatic game updates to new ways to fight piracy. Using the new Mii Studio Application, users will be able to create, customize and share own unique Mii characters. This clever new feature is only the begining. This fully featured Mii editor will also utilize the 3DS camera. 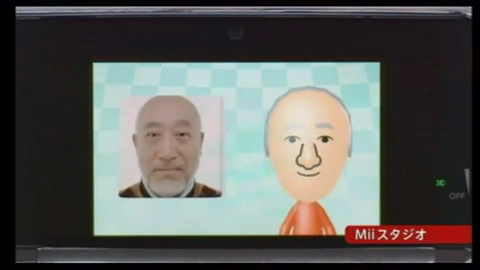 3DS owners will be able to photograph a person and then turn that image into a Mii. Other camera tricks include taking two images and merging them into one. As well as taking fully 3D photos. Nintendo has announced that they are working on several Augemented Reality games that utilize the Nintendo 3DS camera. 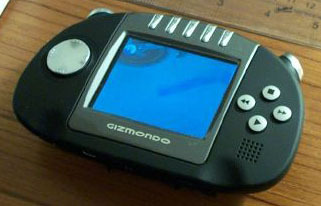 These types of games were first seen in portable form on the Gizmondo portable game system. (See the video demonstration posted below.) Although this technology is promising, it's never received the attention it truly deserves. We have great hopes that Nintendo will be able to create some amazing games using the augmented reality system. We even wonder if they will eventually utilize Pokemon Cards for the first ever augmented reality pokemon game. (Sony's EyeToy "Eye of Judgement" game was very similar to this idea.) The 3DS will come with six augmented reality cards, like those seen in the video below, and built in augmented reality software. Finally Nintendo ended the conference with an explosive showreel of 3DS software. Some of the games were titles we've seen before, but there were also some major surprises. 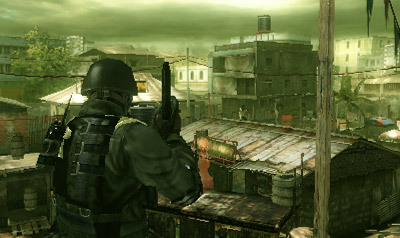 This includes a new Resident Evil game titled Resident Evil: The Mercenaries (Pics). This game is not to be confused with Resident Evil: Revelations (Video), which is a seperate 3DS title. To see a glimpse of this new title plus many other 3DS games watch the video below. This is the complete game video that was shown at the 3DS conference. A few other game related annoucements were made directly after the conference. Sega is preparing six games for the 3DS, one of which is new Super Monkey Ball game. (Announcement) (Pics). Capcom has announced Mega Man Legends 3 (Announcement). Capcom has also reaveled some new footage of Super Street Fighter IV 3DS (Video) (Pics). This photo stream contains images taken from Nintendo's Official Japanese 3DS Conference Web Site. 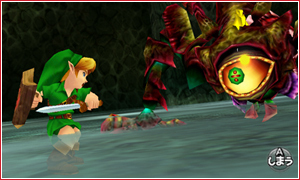 Strangely enough, this site has also revealed the Japanese Launch date of the Zelda: Ocarina of Time 3D remake. According to the site the game is set to release in Spring of 2011. Although many in the industry had hoped for an early launch, Nintendo stuck to their original plan, despite massive evidence to the contrary. The system will launch in the US in March 2011 just like they said it would. This proves two things. Nintendo is not ready to retire the current Nintendo DS line, which continues to top the sales charts month after month. It also proves the company is not concerned about competition on the motion gaming market. They could have easily released the 3DS this Holiday Season and destroyed their competition. However, they wisely chose to wait, squeezing one more vital Holiday Season out of the current Nintendo DS models. Financially this is a very wise move on their part. And no matter when the 3DS comes to market, its sure to be the hottest item on store shelves. We eagerly await March 2011! UPDATE: Watch The Entire Conference Online! Now you can watch the entire 3DS Press Conference Online. The presentation is dubbed into English and it's available in 4 parts on our YouTube Channel. About The Author: E.Thomas is our fearless leader and our resident portable gaming fantatic. He owns literally dozens of portable game systems. If you catch him in line at the E3 Expo, he'll probably have a portable game system in his hands.